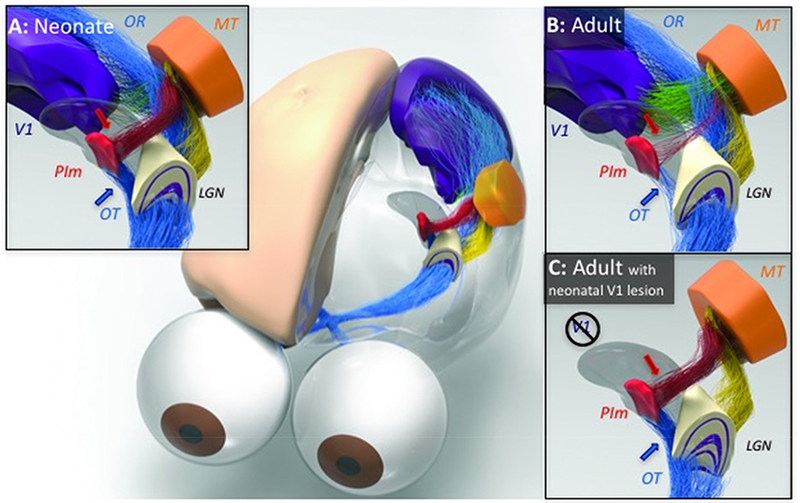 The development of the neocortex and the thalamus relies on the execution of molecular and cellular programs controlling the generation of appropriate neuronal types and coordinated their migration and connectivity. Whilst many of these mechanisms have been elucidated thanks to the amenable rodent model, the development of the more complex primate brain remains poorly understood. In order to identify the specific mechanisms regulating the development of brain structures exclusive to primate species, our group employs cutting edge approaches including ex vivo tissue culture, RNA seq and gene transfer. This research will provide much needed insights in the processes underlying neurodevelopmental cognitive disorders, including schizophrenia, in which the development and maturation of primate-specific brain structures is altered. Ischemic stroke, caused by a blockage of oxygenated blood supply to the brain, is the second leading cause-of-death and disabilities worldwide. Interruption of oxygenated blood supply to the downstream brain regions result in the death of neurones. Stroke survivors often suffer permanent/irreversible loss of movement, speech and memory, or in severe cases, death. Despite the high incidence and implications on public health, not much can be done in terms of therapeutic interventions. It is therefore imperative that new and improved drug treatments are developed and carried through from laboratory bench to patient bedside. Remarkably, the human brain has an innate capacity to heal itself after injury. This capacity is most evident during infancy but is lost as the brain matures into adulthood. The overarching aim of this research theme is to identify specific ‘self-healing’ factors in the infant brain that can be translated into the adult brain to harness the brain’s capacity to heal itself after brain injuries, including strokes. Brain plasticity or neuroplasticity is a broad term used to define the capacity of the brain cells to change their anatomical and functional organisation. A remarkable part of neuroplasticity is the ability of the brain to reorganise connections. These changes can occur as a consequence of a lesion, a disease, or as a natural developmental process. After a brain lesion, neuroplastic changes are often a strategy used by the brain to compensate for deficits and maintain correct functional output. We use advanced MRI, chemogenetic tools (DREADDS), neurosurgery and behavioural techniques to understand the mechanisms of neuroplasticity, which can shed light on the treatment of multiple brain pathologies. Honours and PhD positions are available through Monash University to students undertaking degrees in Biomedical Science, Biological Science, Medical and Health Sciences, and Engineering. Positions will be discussed individually, as there is the potential for various collaborations in order to tailor a project to you. We welcome enquiries from anyone holding or completing a degree in a relevant discipline.